Melissa Perry is a 22 year old vocal performance major studying at Seattle Pacific University. Growing up as a dancer in San Diego, she was introduced to classical music at an early age; however, it was not until her freshman year at of college that she became interested in studying music. 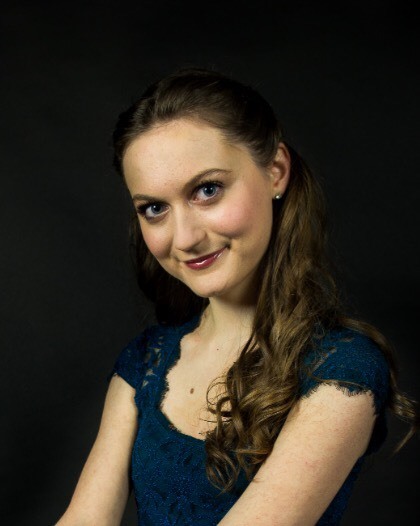 Throughout her college experience, Melissa has enjoyed every aspect of musicianship, from developing technique in voice and piano to performing with multiple university ensembles. She recently has been awarded 1st place for the 2017 Puget Sound NATS regional student adjudication in the Classical College 2 division, and has been chosen as the vocal finalist for Seattle Pacific University’s 2016/17 Concerto Competition. Melissa’s roles include “Queen of the Night” from Mozart’s Die Zauberflӧte and “Olympia” from Offenbach’s Les Contes d’Hoffman, and "Mademoiselle Silberklang” from Mozart’s Der Schauspieldirektor.